FINNERAN LANE: Ms Rabbit Denies "Vicious Rumors" ! Ms Rabbit Denies "Vicious Rumors" ! 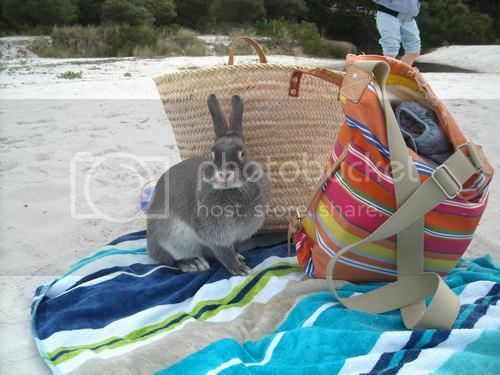 I ran across Ms Rabbit - that young, suburban Bunny matron-on the beach-at the Jersey Shore. I noticed -after a while - her pelt was a silvery grey -instead of the usual splotchy rabbit brown, and I commented politely.
" I like your ummm...new fur-style . It's quite.....regal !" Ms Rabbit beamed. " It's called "Royal Platinum". She simpered flirtatiously - an unnerving sight. " I'm sure all my Alpha Male Choices will approve !" I'm sure you're something of an expert on Alpha Males, I thought---but decided it might be wiser to keep that thought to myself. "One of our neighbors said she saw you going into the beauty parlor the other day", I said. "The place had kind of a funny name...what the heck was it ??" Ms Rabbit began to tremble with agitation. "It will come to me ", I soothed. "So: what else have you been up to lately ?" " IT'S A LIE ! ", she screamed. " IT'S A VICIOUS LIE !!!" 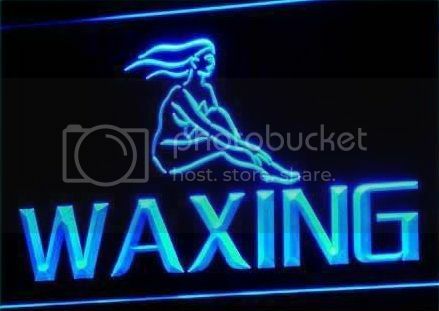 " I DID NOT GET A BIKINI WAX !!! I stared at her, uncomprehendingly. Car wax , surf board wax , moustache wax ---okay---but what in heck is a "bikini wax" ? I shrugged and waved goodbye : having decided it might not be wise to ask Ms Rabbit any further questions about what was quite possibly a sore topic.